Carter Banker, a second-year Master of Arts in Law and Diplomacy (MALD) candidate at The Fletcher School of Law and Diplomacy, started a petition on Oct. 17 to remove former White House Communications Director Anthony Scaramucci (LA ’86) from The Fletcher School’s Board of Advisors. The Board of Advisors comprises about 40 members who have achieved success in their respective fields. According to Executive Director of Public Relations Patrick Collins, the advisors convene two to three times per year. Banker first thought about starting the petition when Scaramucci made threats in an interview with a New Yorker reporter, but she was preoccupied with an internship in D.C. at the time. However, when The Scaramucci Post, a publication created by Scaramucci after he was ousted from his White House post, tweeted a poll asking users how many Jewish people had died in the Holocaust, she said she knew it was time to start a petition. Although Banker said the petition has mostly received support, she did say that someone had tried to sabotage the petition, by manipulating the spreadsheet which she had used to collect signatures. Banker said she was easily able to recover the information and changed the document’s privacy so that only approved people could edit it. Banker reached out to colleagues, alumni and faculty members to sign the poll, using social media and directly messaging people. She said nearly 250 students, faculty and alumni had signed her petition and agreed that Scaramucci does not reflect Fletcher values. Banker sent the petition to Fletcher’s Office of Development and Alumni Relations, the group that is responsible for managing the Board of Advisors, on Nov. 1. She was uncertain about who was in charge of dealing with such a situation but was confident that in such a small school, it would reach the right person. Senior Director of Development and Alumni Relations Kate Ryan emailed Banker in response to the petition on Nov. 6, informing her that the Office of Development and Alumni Relations was examining the situation with Tufts leadership, she added. Banker said it was possible that potential incoming students could be deterred by Scaramucci’s presence on the board. Furthermore, from her conversations with a few alumni, she thought it was likely that some would withhold donations to the school. 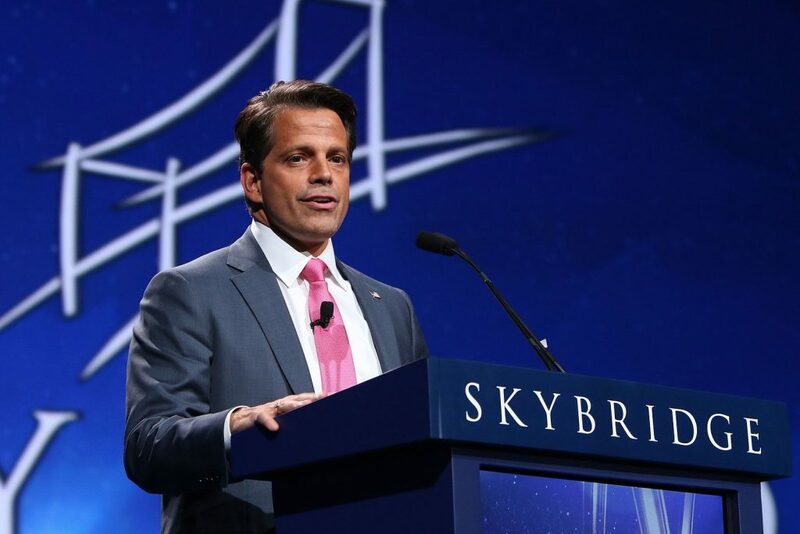 Banker also stressed that the issue of removing Scaramucci is a non-partisan one, as he financially supported Hillary Clinton and Barack Obama’s presidential campaigns, and admitted to voting for Bill Clinton and Barack Obama as reported by the Daily Beast in July. Prior to working for Trump, he had insulted the president in a series of now-deleted tweets. Thus, she said, this is not another instance in a trend of liberal universities ousting conservatives. Banker also expressed her desire that the administration be more transparent to the Fletcher community. Professor of Practice of International Conflict Analysis and Resolution and Director of the Institute for Human Security Eileen Babbitt was one of a handful of Fletcher faculty who signed Banker’s petition. She said she was unimpressed by his use of vulgar language and his demeaning behavior. Babbitt said that at the very least, a representative of the school should display civility and respect. Clare Gooding, a second-year Master of International Business (MIB) student at The Fletcher School, said she was initially hesitant to sign the petition because she is wary of the lack of conservative voices in elite higher education institutions. However, after talking with Banker, she changed her mind and decided to sign the petition. “The public nature of his profanity was so shocking that I realized this isn’t a partisan thing,” she said. Although Gooding said Scaramucci’s presence on the board was questionable, she was not sure if it was necessarily detrimental. She believes that a comprehensive review is in order and that The Fletcher School administration should be the ones to handle that. Collins said that no one board member has disproportionate authority over the university and that the board benefits from the ideas of all its members. “We are aware of the petition, and there are ongoing discussions about the circumstances under which any advisor would be asked to resign for cause, but the bar for doing so would be very high,” he said. No board members could be reached for comment.